The Common Core standards recently adopted in California create great challenges for all educators, particularly those who teach students who have special needs. My project focuses on reading comprehension. Common Core standards place emphasis on finding and citing evidence that supports the main idea in expository writing. 21st Century standards were created by the Partnership for 21st Century Skills to address the needs of 21st century learners. It is lead by a partnership of business community, education leaders, and policymakers, including the U.S. Department of Education. 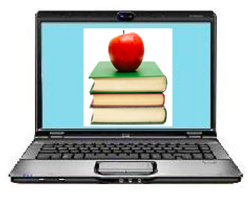 My research addresses the combined needs for reading comprehension skills and technological literacy. According to Wikipedia, Technological Pedagogical Content Knowledge (TPACK) is a framework to understand and describe the kinds of knowledge needed by a teacher for effective pedagogical practice in a technology enhanced learning environment. My research focuses on using Moby Max, which is an adaptive learning technology, to teach content area subject matter.